Found one file extension association related to fKey Template Designer and 1 file format developed specifically for use with fKey Template Designer. 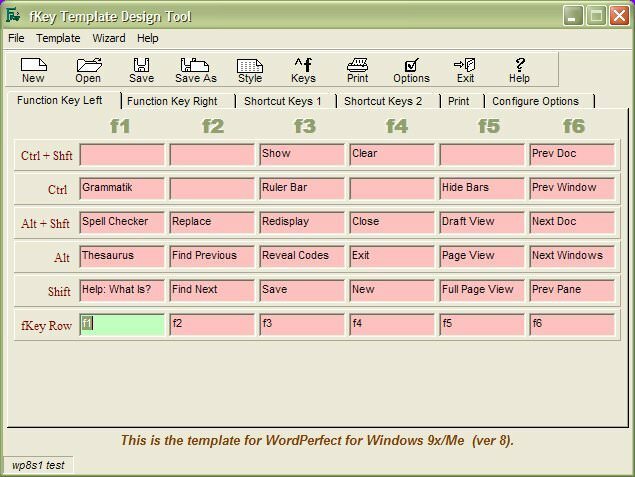 The fKey Keyboard Template Designer utility is designed to save you valuable time. How often do you use a program that you have not touched in some time and have to dig through the manual to find the shortcut key or function key that performs the desired program operation. Just think about the amount of time you would save if you already had a template prepared and all you had to do was lay it on your keyboard just above the function key row. Prepare your template once and it is done for the life of the program that goes with the template. If you need more information please contact the developers of fKey Template Designer (SigmaTech Software), or check out their product website.